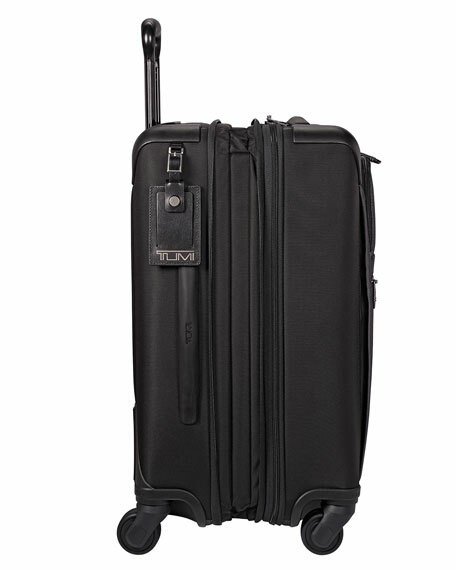 Carry-on made from TUMI's patented, ultra-durable FXT® ballistic nylon with leather trim. 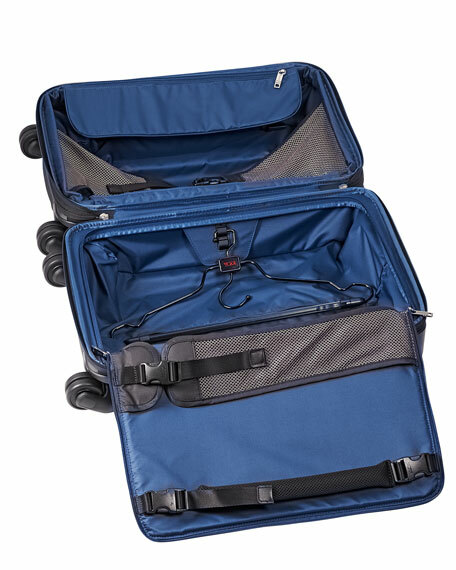 This four-wheel compact and expandable carry-on is ideal for short, overnight trips and travel within Europe and other international locations. 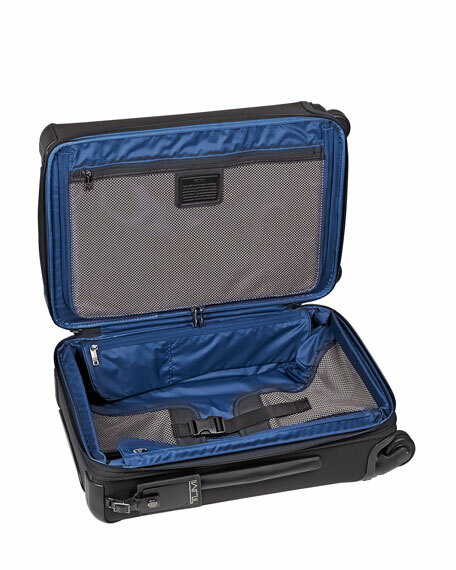 Main compartment expands by 2" (5cm) and features a suite component. 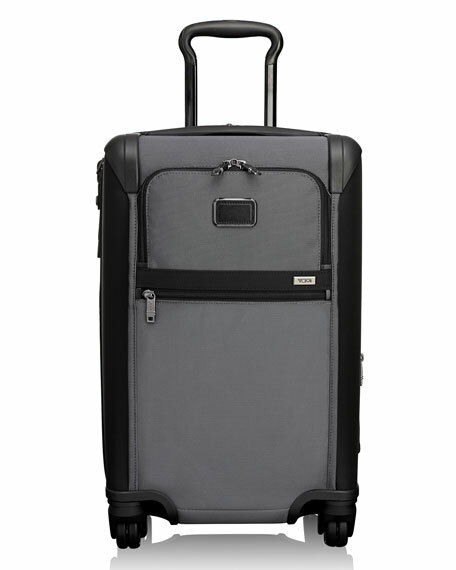 Three-stage telescoping handle and four-wheel system with recessed swivel wheels. Interior accessory pockets; large exterior pockets. 9"W x 14"D x 22"T.
For in-store inquiries, use sku #2492537.